This Airline was manufactured by Wells-Gardner for Montgomery Ward. The 93WG-604 has a beautiful amber-colored drum dial like the 93WG-602B model but has a different left half case mould. 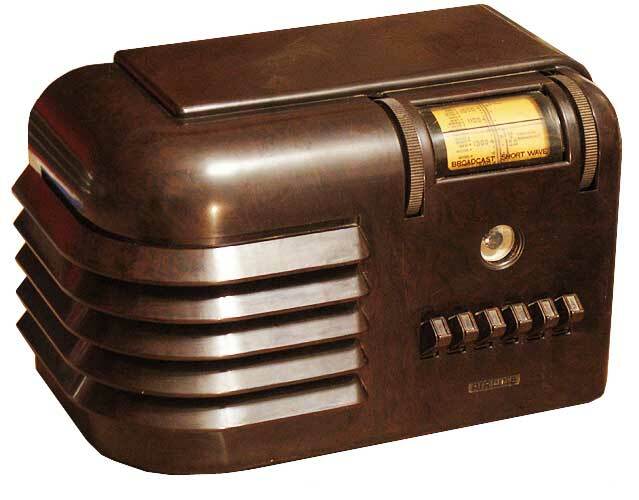 The radio is a simple AA5 (All-American 5) circuit with a tuning eye and originally sold for $16.95 in 1939. The ivory plaskon version was a 93WG-605 for $17.95. Montgomery Ward also sold battery-powered farm radio versions in the same cabinet with a switch in place of the tuning eye.